Habitat: It is found in eastern-himalayan regions, abundant in assam and west bengal. 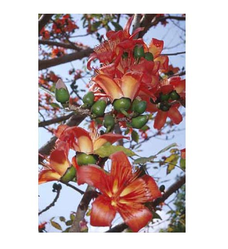 Common Name: Red Silk Cotton Tree, Cotton Tree, Indian Bombax, Kapok . Part Used: Roots, Gum, Bark, Flowers, Seeds. We are a unique name in the industry, devoted towards providing the best quality range of Mochrus Herbal. Being a quality-centric organization of this industry, we are engaged in providing an optimum quality Bidari Kand. We take enormous pleasure to present ourselves as the noticeable manufacturer, exporter and supplier of Hajrul Yahood Bhasma in Karnal, Haryana, India. Hajrul Yahood Bhasma is an Ayurvedic medicine in powder form, used in the treatment of difficulty in urination, calculi etc. It is also known as Badarashma. BOTANICAL NAME : Cinnamomum glauceschens, C. cecidoaphneORIGIN : INDIAExtraction method: STEAM DISTILLED. COLOR :PALE yellowish GREEN. CONSISTENCY :LIGHT. USES :EXCELLENT FOR TREATING STOMACH ILLNESS. ODOR :STRINGENT & STRONG AROMATIC SMELL. 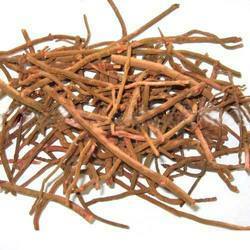 It is used in case of nosebleed, bleeding gums, mouth ulcers and sore throats. It is also used internally for loss of memory, hypertension, cystitis, gastritis and enteritis, diarrhea and raised blood sugar levels.